The Shanghai Spring International Music Festival lifted its curtain tonight, highlighting musical works that tell Chinese stories and national legacies. The festival, with a history stretching back more than 40 years, runs from April 27 to May 17. So far, the schedule includes more than 35 shows and events from home and abroad. This time, a large number of original works inspired by traditional Chinese culture, legacies and history will offer a feast of Chinese flavor to local audiences. “Chinese elements and stories have always been important inspiration for local artists, which will help Shanghai enhance its cultural creativity and influence,” said Xu Shuya, chairman of the Shanghai Musicians Association, a main organizer of the festival. Both the opening and closing performances of the festival this time will help audiences get close to China’s mythical legacy through music. Bass baritone Shen Yang performs at the opening concert of the Shanghai Spring International Music Festival. 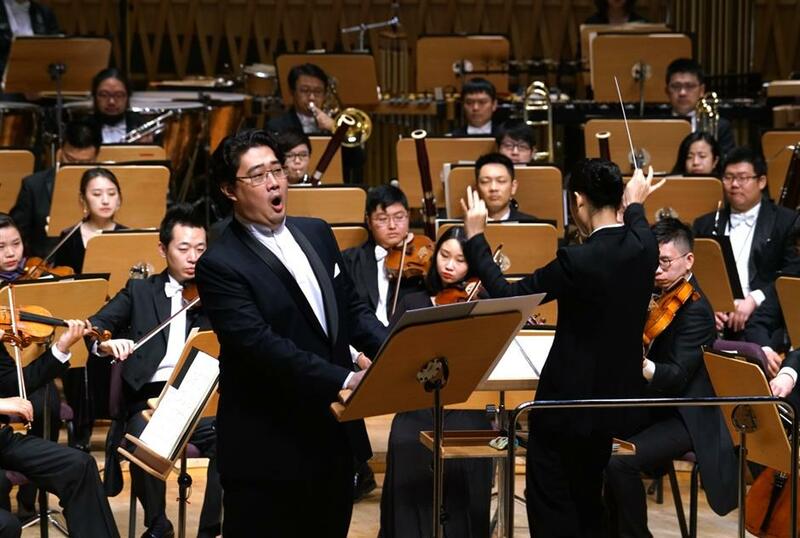 The festival opened with the “Chinese Myths Original Masterpieces Concert” tonight at Shanghai Symphony Hall, which tried to interpret the tradition and connotations carried with tales and legends through music. Works for the concert were created by leading Shanghai composers including Xu Shuya, Xu Mengdong and Ye Guohui, as well as Chinese composers residing overseas, such as Huang Ailin who is living in Austria. Huang chose to work on “Goddess Chang’e Flies to the Moon” as a way to express her homesickness. She used part of the children’s rhyme “Moonlight” from her hometown in Guangdong Province in the new creation. A children’s choir will sing with the orchestra. “I feel lucky to participate in the composition, which shows overseas Chinese people’s longing for motherland,” she said. Some of the best-known mythical tales, including “Pangu Creates the New World," “Kuafu Chases after the Sun” and “The Cowherd and the Weaving Maid,” were also covered. The symphonic fantasia “Ode to Ancestors Yan and Huang,” selected for the closing performance on May 17, will feature the legend of Emperor Yan and Emperor Huang, who united the Chinese nation after primitive chaos. There are also a number of musicians engaging in crossover works using national cultural legacies. 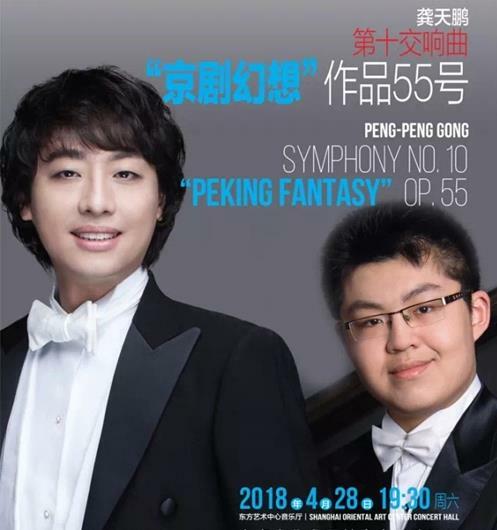 Young Chinese composer Gong Tianpeng will stage his latest Symphony No. 10 “Peking Fantasy,” inspired by Peking Opera, tomorrow night at Shanghai Oriental Arts Center. Gong tries to “translate” the spirit, emotion, philosophy and grandeur of Peking Opera with symphonic language. 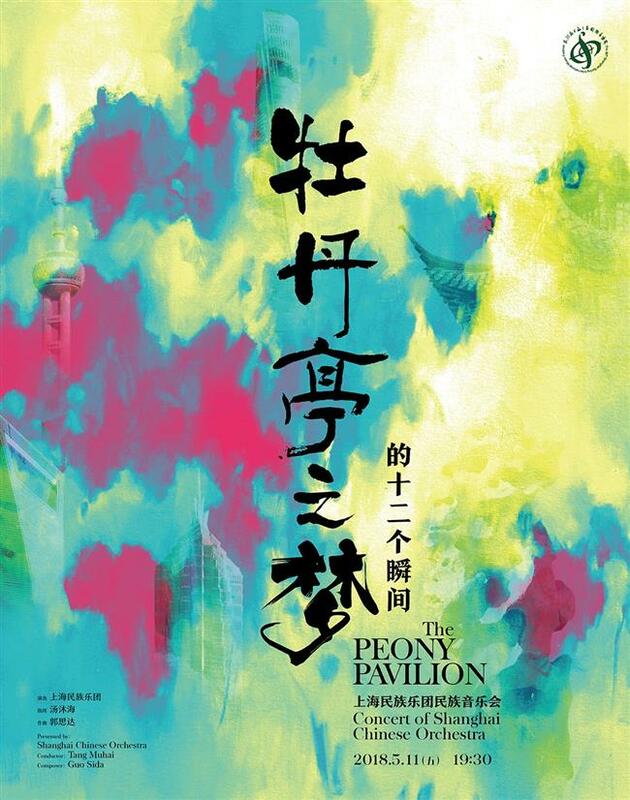 Shanghai Chinese Orchestra will present “12 Moments of the Dream of the Peony Pavilion” at Shanghai Symphony Hall on May 11, exhibiting the subtle inability of human emotions to “stay,” “grasp” or “put it down” through three life-and-death romances transcending time and space. Bamboo flute master Tang Junqiao will present innovative theater “The Natural Sounds of Chinese Bamboo Flute” at Majestic Theater on May 1, where the sound of bone flutes discovered among the Jiahu Relics in Henan Province with more than 8,000 years of history, will be heard. Visit www.ssimf.org for more information.